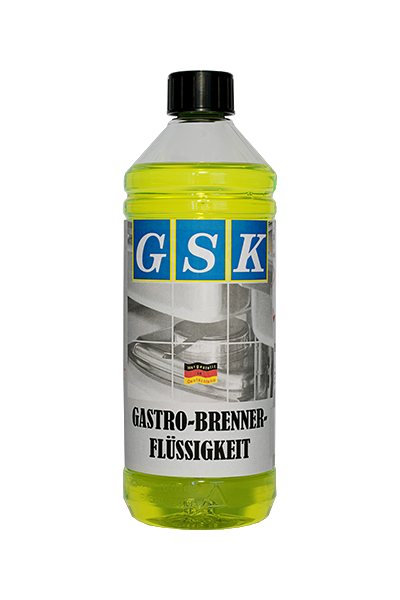 GSK burner liquid is a professional alcohol-based liquid, especially designed for chafing dishes and for use inside liquid-based burning systems. It is supplied in 1.0l bottles. The liquid is based on high-quality Bio-Ethanol which results in a very high heat generation and an economical consumption. Additionally it burns soot-free, odourless and free of residue. The long combustion period and the economical consumption are the key features of the GSK burner liquid!